Hey y'all! Sorry I've been absent recently, we've been living without internet. It doesn't sound that bad, but after a day or two I was going pretty crazy. So to kill time I decided to make homemade apple cider and knit a blanket! First off, the blanket came out wonderfully! Since it was arm knit the holes are little bigger than a cable knit, but the overall look is beautiful! And, its extra special since it was made by hand! And the apple cider came out wonderfully, it tasted best warm. 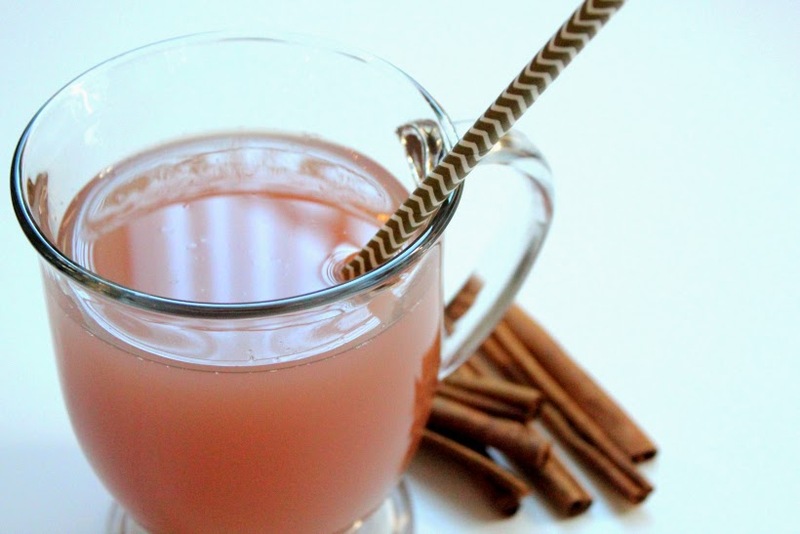 The recipe does take a little time, but your house will smell amazing and you'll end up with some homemade cider. 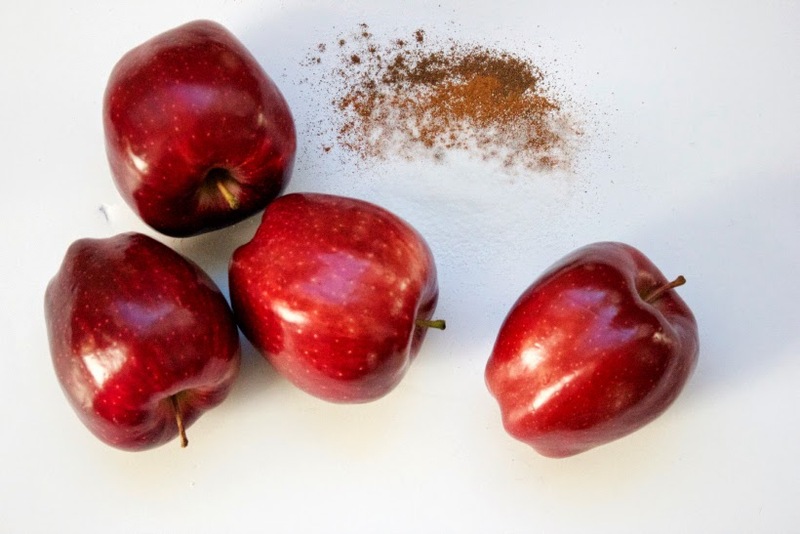 Apples and cinnamon, yum! The recipe I'm sharing is very basic, only four ingredients, but you can always add caramel or salt... or vodka, to make this to your liking! Cube your apples, feel free to leave the skins on. 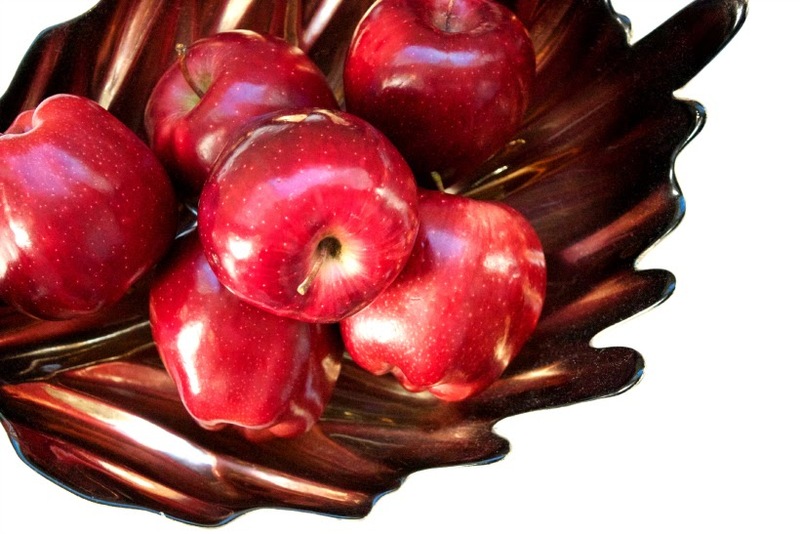 Add them to a big pot and add enough water to cover the apples, about a gallon of water should do. 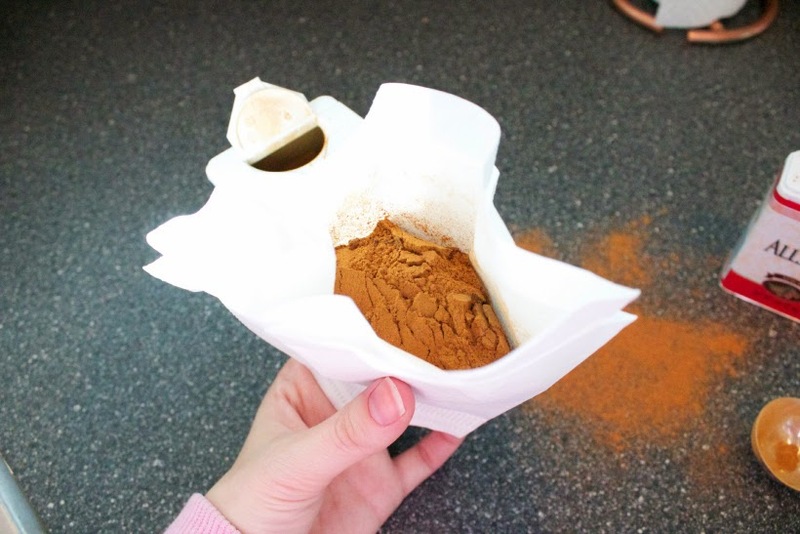 Grab a coffee filter or cheesecloth and fill it with the spices, tie shut. Add you little spice bag to the water along with the sugar and bring it to a boil. Boil for one hour, uncovered. 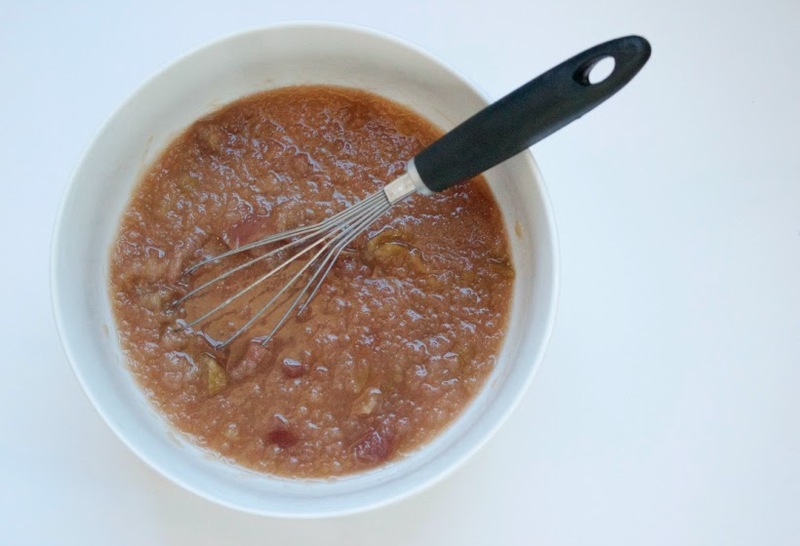 Bring down your heat to low and allow the cider to simmer for two more hours. Once your simmering is complete along the cider to cool. 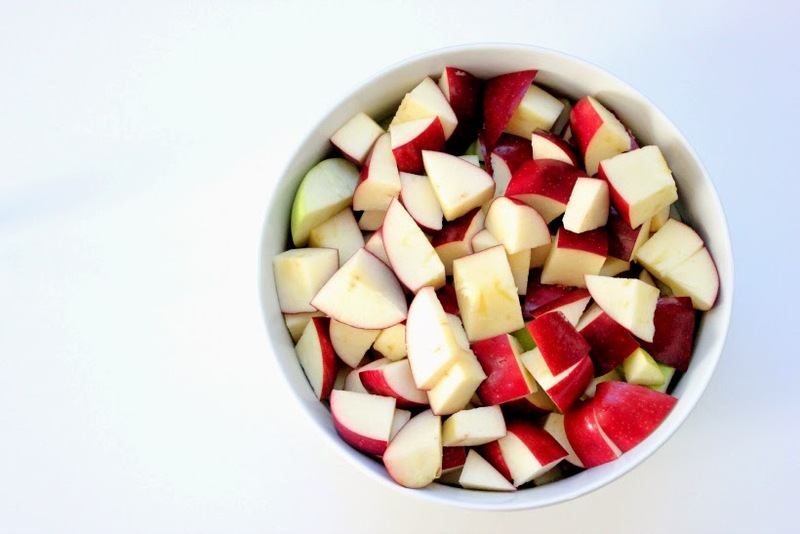 Use a whisk or potato masher to mash up the apples while still in the liquid. 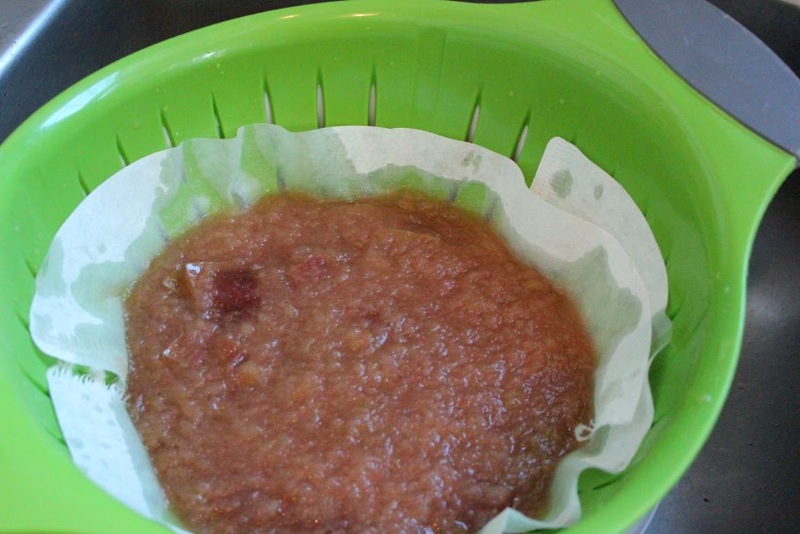 Lay down a coffee filter or cheesecloth in your colander. Set this on top of a bowl and strain your apple mash. You can use an additional filter to squeeze out the juice from the mash as well. And there you have it! 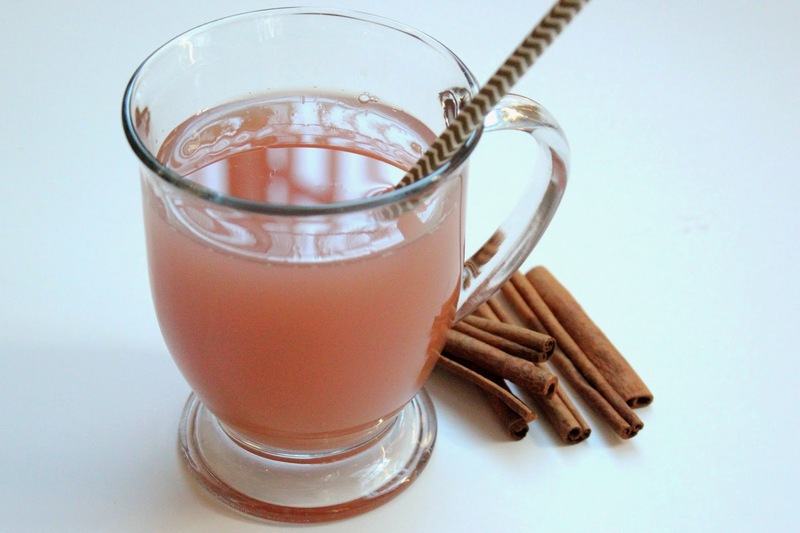 Homemade apple cider, perfect for sharing at Thanksgiving.